Prices of kids will be determined as they become available. 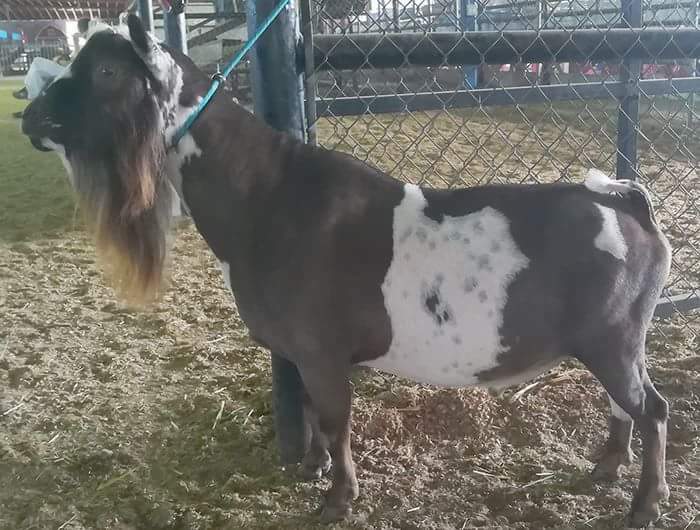 Registered kids (does and bucks) start at $350 and up depending upon bloodlines and quality of animal. Nigerian Dwarf wethers will be $100 each or 2 for $175. Show quality Boer wethers will be available this spring, price will be determined prior to sale. If you are interested in a kid from a specific breeding please contact us for availability and pricing info. All animals will be disbudded and have initial CDT vaccine unless buyer specifies differently in advance. Wethers will be banded prior to sale. Check our "For Sale" page for animals currently available. 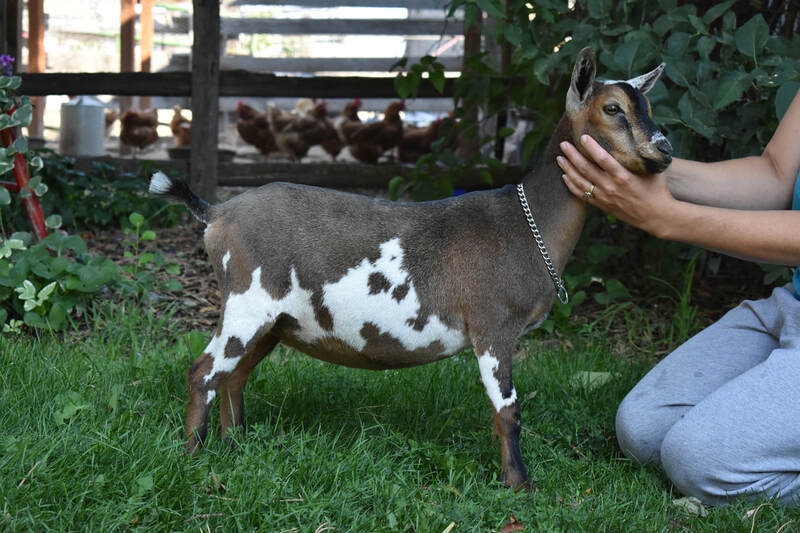 Bred to Pholia Farm RD La Brea Legend *B for April 10,2019 kids. Kids to be retained. Jupiter is AI bred to High Tor Landside Zigzag. Twin bucklings born 1/27/19, 1 buckling sold TP, 1 buckling being grown out here.